A version of this article was originally published on the NewsWhip blog. The New York Post and Los Angeles Times lead the list of local and regional news sites on Facebook. The general idea is that users may be more interested in stories relevant to their community, helping foster the type of “meaningful interactions” that Facebook has stated it is looking to encourage in the news feed. Meanwhile, boosting the signal from local news sites helps fill any potential content gaps from other less reputable or relevant sources, which the platform has been trying to demote in visibility. One year on, things have changed slightly, with many smaller news sites having reported drops in reach and traffic from Facebook. Despite this, a Pew Research report in January indicated a continued widespread interest in local news from audiences around the world. The first thing to note is that, like many general news and entertainment sites, engagement on content from a lot of these regional news outlets on Facebook has fallen in the last 12 months. In January 2017, the New York Daily News was the number one regional site on the platform, with over 4.4 million monthly engagements. One year later, that figure has declined to 2.47 million interactions. 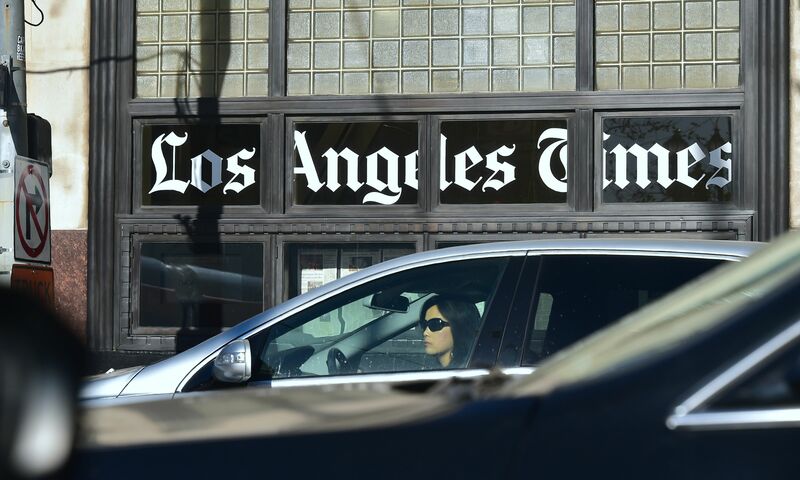 While the Los Angeles Times remains high in second place overall, its engagements declined by roughly 1.1 million in the same time period. Although January 2017 was the month of Trump’s inauguration, a news event which resulted in mass engagement lifts for many sites, it’s a shift worth keeping in mind. In January 2018, the New York Post comes out on top, with over 3.6 million engagements on content published during January. In the Post’s case, the most popular stories of the month consisted largely of national and even international news stories, but also plenty of local interest reporting, such as extreme weather coverage. In second and third place are the LA Times and southern California broadcast outlet ABC7.com. The Times had a lot of popular national stories, but stories about poverty in California, regional rail infrastructure, and coverage of the aftermath of a mudslide also performed strongly. Meanwhile, ABC7.com had one of the lowest outputs of the top 15 regional sites, with just over 1,000 posts for the month, indicating an impressive average engagement rate per story. In the last analysis of these regional publishers, the top three sites had a marked lead over others. In 2018 however, things are more evenly distributed. This mirrors what we’ve seen among larger publishers generally on Facebook in the last 12 months. There are also some new names in the top 10 ranking, such as the Alabama news site AL.com, and Patch.com, a site with multiple local news versions for different cities. Another site that has managed to grow its engagements since last year is freep.com, the digital version of the Detroit Free Press. While part of the site’s strong performance on Facebook in January was due to its coverage of the Larry Nassar trial, a local news story which also featured heavily in national and international media, its real success lay with another local news story, centered around immigration. The piece, titled “After 30 years in U.S., Michigan dad deported to Mexico,” saw almost 430,000 interactions, and was easily the site’s most popular story of the month. Develop a real community by doubling-down on the type of stories that differentiate your site from bigger publishers that already have a massive audience. Recognize your audience’s reading habits, and serve them. Regularly review data, and re-engage: It’s probable that not every story is going to work well in the news feed, even with the latest Facebook boost. There are other aspects of Facebook strategy to consider. Many local news sites also carry national news coverage, some of it syndicated. A worthwhile review of Facebook to carry out is to consider how what percentage of that content performs strongly in the news feed. According to NewsWhip data, outside some very well-known regional media brands in the U.S markets, local news sites are more likely to see their unusual or exclusive local stories achieve high engagement on Facebook, particularly if they have a larger national or international resonance. One other place that local news sites may consider trying to seed their content is through Facebook groups. Facebook may have more plans for local news on Facebook. According to Recode, it’s testing a feature called ‘Today In’ in six U.S. cities, which is “a feed made up entirely of local news, events and announcements,” from sources vetted as being local publishers by the Facebook news partnerships team. See below for the top 15 U.S. regional sites on Facebook, ranked by total engagements on stories published in January 2018. These numbers count all Facebook engagement on these sites’ links in January, including shares from publisher pages, copy-and-paste shares and use of social sharing buttons on the websites themselves. The numbers don’t include engagement on live or native videos.